Perhaps you’ve seen a news headline or heard a story about plaintiffs who receive multi-million dollar personal injury payouts. Maybe it makes you wonder if the justice system has enormous flaws. Maybe it makes you wonder if you might be eligible for a big payday, too. Whatever your reaction, understand that these large personal injury payouts are relatively rare. What Kind of Personal Injury Payouts Are Possible? Personal injury lawsuits allow victims to receive monetary damages for their injuries. Victims can recover many types of damages in a personal injury case. Those damages fall into two primary categories: compensatory damages and punitive damages. Compensatory damages compensate the victim for the personal injury. Types of compensative damages include lost wages, pain and suffering and medical bills. Punitive damages punish the person or entity responsible for causing the personal injury. A punitive damage award occurs when the conduct causing the injuries was especially egregious. What Makes Large Personal Injury Payouts Rare? There are many reasons why large personal injury payouts are rare. Many of these reasons will require explanations that go beyond this blog post. However, there are at least two reasons to explain why large personal injury payouts do not occur as often as you might think. First, large personal injury payouts usually depend on the awarding of punitive damages. Since punitive damage awards occur when the wrongdoer’s conduct is especially deplorable and most personal injuries are the result of accidents, rather than intentional conduct, punitive damages are usually not awarded. And when they are, they aren’t drastically larger than the underlying compensatory damages. Second, many juries are not going to award large payouts unless the plaintiff is very, very deserving of a significant monetary award. 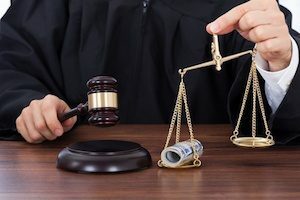 When you hear about large personal injury payouts in the news, there’s usually a very good reason for that award, such that when you hear all the facts, the “large” personal injury payout no longer seems large. For example, imagine a first-time mother has a routine C-section, but the doctor leaves a medical tool inside the mother’s body. Despite multiple complaints of extreme pain and pleas to her doctor that something was wrong, the doctor dismissed her concerns. Several months later, other doctors discovered the medical tool and removed it, but not before the mother lost part of her intestines and missed out on the first few months of her child’s life, watching the child bond with the mother’s sister instead of the mother. How much do you think the mother should get in her personal injury case? How much is a lifetime of stomach and digestive problems and missing your child’s first few months of life worth to you? This mother received about $300,000 after a multi-day jury trial and several years of litigation. Many of you would agree she deserved more and at the very least, most of you would agree she did not get a large personal injury payout. In fact, the money awarded was barely enough to cover the medical bills she incurred. Believe it or not, this type of case (which is real), is much more common than large damage awards. This isn’t to imply that significant personal injury payouts aren’t possible. Rather, they are the exception rather than the rule. Wondering If You Have a Large Personal Injury Claim? Learn more about personal injury payouts and what you might receive for your injuries by contacting our legal team at Williams & Williams, LLC.